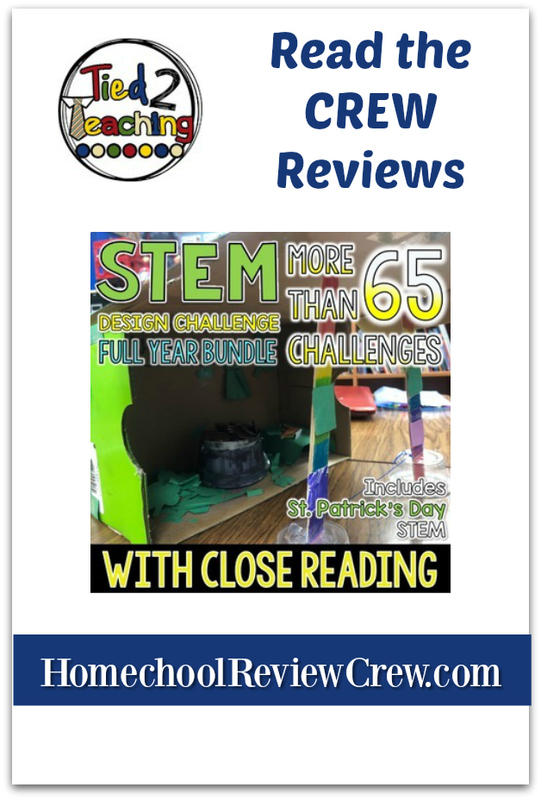 We are very nerdy kind of family, so when we found out we had the opportunity to review STEM Activities, Full Year of Challenges with Close Reading by Tied 2 Teaching, my kiddos couldn’t wait to dig in! This awesome collection of themed monthly bundles is a mash-up of science, technology, engineering, and math all in one package. Each challenge includes a high-interest close reading passage and related comprehension questions for your child to complete before tackling each project. Each month contains FOUR challenges, with August instead including the Mega Pack of Building Block Challenges. Our Lego collection has dwindled over time, so we haven’t yet been able to take advantage of these, which we plan to remedy in the near future. There are over 70 activities for you to use and enjoy! Most of the activities are pretty simple and don’t require you to go out and purchase a lot of extra supplies. We were able to complete all our selected challenges without purchasing anything we didn’t already have in our supply or craft stash. In fact, my kids were able to sit down and complete several challenges independently once I printed the PDF and directed them on where to find the needed materials. The challenges included have something for everyone, with a wide array of topics to choose from. In addition to the close reading and the challenge instructions, helpful examples are included in every PDF. Each activity includes a variety of graphic organizers to help your student plan, execute, and evaluate their creation. You can select which pages to use based on your child’s abilities and how in-depth you want them to go. My kids’ favorite challenges were designing and building a spider web using marshmallows and toothpicks and contructing an alien landing module from various things they found around the house. I have included a little video here of them completing those challenges. As you can see, they had a great time and it even provided an opportunity for my husband to get involved with “schooltime”, which is always a lot of fun for the kids. The challenges are designed to be used by 3rd to 6th graders, but I found some of the activities to be simple enough to get my kindergartener involved in the creativity. Even my high schooler joined us for a few challenges! While we have a lot of science-y type materials and books that include experiements and such, these challenges are different in that they are more open-ended. The challenges give the student enough instruction that they feel prepared, but not so much instruction that there’s no room for using creativity, ingenuity, or problem solving skills. The possibility for developing multiple solutions to a single problem is what really sets these activities apart from your typical science experiments. As a homeschool parent, I really like that these activities are stand-alone, but can also be incorporated into your days by complementing your current themeatic or topical studies. The preparation time required is very minimal and most activities can be completed independently. This means these challenges are a great option for a morning basket, workboxes, or activity bags. I plan on printing the entire set of challenges and packing each activity along with required materials into large baggies to place in a STEM activity box that my kids can dig into whenever they desire! 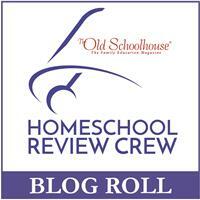 Make sure you head on over to the Crew blog to read what other homeschool families had to say about this awesome resource! Thanks for stopping by! I’m Cassandra, homeschool mom of 6 beautiful kiddos, wife to one amazing husband, organization junkie, and lover of all things nerdy. I started this blog to share my crazy, blessed daily life with the world.